RED ALERT! URGE NO VOTES ON NCLB REPLACEMENT (HR 5) & DATA MINING BILL (S 227) IN US HOUSE ON 2-25! Hat Tip to the Florida Coalition Against Common Core~ Who put out this RED ALERT not only on HR 5 but on S 227 as well. 2. SETRA only appears to prohibit a national database. 3. The bill continues to rely on a severely outdated and weakened FERPA to protect student privacy. 4. SETRA continues the large loophole that renders PPRA ineffective in protecting student privacy. Help WomenOnTheWall.org carry out our mission. We are the grandmothers, mothers, daughters, sisters of American women of all political persuasions, age and race and are the stewards of the home and hearth. We will stop at nothing to defend and protect our families. Your financial support is critical to ensuring that we can carry out our mission of protecting our nation for future generations and to fight for the safety and security of our children and grandchildren. Help us in our efforts by making a contribution of $19,81, $50, or $100 so we can keep fighting for future generations. Pennsylvanians Restoring Education – Pennsylvanians Against Common Core. Anita and her team have just sent out the press release below. February 20, 2015, Harrisburg, Pittsburgh, Philadelphia, PA.
Citizens of Pennsylvania, Pennsylvanians Restoring Education, Pennsylvania Against Common Core, parents and students are asking Representative John Kline to stop the REAUTHORIZATION of ESEA, HR 5, the Student Success Act of 2015 which will amend No Child Left Behind. HR 5 violates states’ rights under the United States Constitution. HR 5 is designed to destroy local, public neighborhood schools through usurpation of elected school boards’ authorities and responsibilities. HR 5 will destroy all private education in America, as well, legislating Title I “choice” vouchers that will “follow the child,” enforcing HR 5 compliance in EVERY PRIVATE AND RELIGIOUS SCHOOL. HR 5 would legislate services to these Title I “choice” children called DIRECT STUDENT SERVICES AS A VOUCHER that must be equitable and comparable to any public school, which is needed to satisfy Common Core. REPRESENTATIVE KLINE, this “new course” that you are forcing on the states will end in Constitutional chaos. HR 5 removes Constitutional states’ rights sovereignty. HR 5 redefines parent and removes parental rights over the upbringing of their children. HR 5 subjugates state legislatures under blatantly false pretenses about state and local control. HR 5 presents choice vouchers defined as “direct student services,” as a means to control private and religious schools and phase out public schools. HR 5 would transform ALL SCHOOLS into government schools. Has every state ceded the land that these schools occupy, turning them into federal lands? If the states have not ceded the land to the federal government, the federal government’s jurisdiction is determined to be severely limited, unless altered drastically by the state legislature. Questions of jurisdiction would still remain. At the least, HR 5 obfuscates state and federal jurisdictions as specified in the Constitution and affirmed in numerous Supreme Court decisions. REPRESENTATIVE KLINE Who “Grubered” your HR 5 and consigned the states to federal takeover? HR 5 forces private and religious schools to provide services through an APPROVED state list of providers eliminating the freedom for private and religious schools to teach students to their own standards and select their own curriculum. HR 5 forces private and religious schools to provide non-cognitive mental health areas of personality development and interventions whereby proficiency levels in the social, emotional, and behavioral domain are scored to a criterion resulting in violations of privacy under the Protection of Pupil Rights Amendment, federal law, state law, and civil rights laws. HR 5 uses choice vouchers to dissolve the public school system through the exodus of (departure of) Choice, Title I, at-risk students who disengage from the public school and enter a private or religious school. Public schools are presently represented by locally elected school board members in the United States. The destruction of our neighborhood public school system undermines the power and authority of property tax provisions and elected school board representation on the local level, representation which financially supports local education agencies. schooling. As you, Representative Kline, must know, charter schools are a system of schooling without elected boards. They use public tax monies regulated by federal government mandates, standards, assessment and teacher remediation with data tracking and trafficking and re-education toward Common Core standards. HR 5 by design eliminates local and state representative government by removing the states’ rights and local control of education and surrenders our children’s education and future to the dictates of the federal government. REPRESENTATIVE KLINE, HR 5 is a Constitutional Crisis in the Making. HR 5 removes the parents as the final arbiters in the upbringing of their children, and wrestles control of private and religious education through federal encroachment as explained below. The passage of your bill out of committee to be voted on by the entire House of Representatives by February 24 must be stopped. The HR 5 Reauthorization of ESEA, amending No Child Left Behind, must be stopped because the provisions inherent in this legislation are egregious and lack Constitutional authority. Passage of H.R. 5 will bring about the destruction of the United States system of public education as well as the radical transformation of representative government both at the state and local level. REPRESENTATIVE KLINE, these states’ rights issues have not been discussed at your hearings. Is each state legislature aware of the fact that these measures, hidden in federal and state statute, will remove their state’s guaranteed rights under the Constitution? Will each state, including your own state of Minnesota, have to amend its own state constitution to comply with HR 5? The Oklahoma legislature codified Common Core through ESEA and gave up its state’s rights authority by surrendering education and students to federal control. Indiana’s supposed departure from Common Core in HB 1427, (Sec. 14.5(a) C, page 9) also surrenders its state’s rights in order to comply with federal standards. REPRESENTATIVE KLINE, have these states been apprised of the devious design in HR 5 to take away states’ rights granted under the 10th Amendment to the Constitution? REPRESENTATIVE KLINE, why have your hearings not discussed the aspect of the “direct student services” that is defined as PUBLIC SCHOOL CHOICE FOR ALL PRIVATE AND RELIGIOUS SCHOOLS? Why have these services not been discussed…services that each private and religious school MUST “provide on an equitable basis” to meet the individual needs of each child who receives a SUPER VOUCHER? Why does the state require that private or religious schools MUST use “approved academic tutoring services as determined by a provider on a State approved list”? Schools will be subjected to discrimination charges if they deny matriculation of a Title I child even if they cannot financially support the OPEN- ENDED direct services mandated in HR 5, as explained below — even if it bankrupts them. REPRESENTATIVE KLINE, why is “meaningful choice” defined as complying to state standards (Common Core) and interventions identified for each “at-risk” child receiving the following services: Special Education, instructional support services, counseling, mentoring, one-to-one tutoring, and other benefits for the Title I child? Why is there wording that mandates that a private or religious school MUST comply with the Civil Rights Act, (the school cannot deny admittance to a Title I choice child) 504 Rehabilitation Act, Americans with Disabilities Act, (MUST administer services for mental health disabilities), IDEA (MUST administer behavioral screening, response to interventions, positive behavioral interventions and supports, mental health wrap-around, BILLABLE MEDICAID SERVICES, mental health services or specialized student support services), General Education Provisions Act (GEPA). REPRESENTATIVE KLINE, you know full well that HR 5 will codify the Family Education Rights in Privacy Act (FERPA). This important Act, as it stands now, has been totally gutted due to President Obama’s Executive Order, EO 12866, January, 2012. FERPA now allows personally identifiable information on the student to be released without informed written parental consent. This personally identifiable information on the students includes anecdotal, psychological observations, analysis, and reeducation interventions in the affective domain by teachers, all tracked and trafficked. 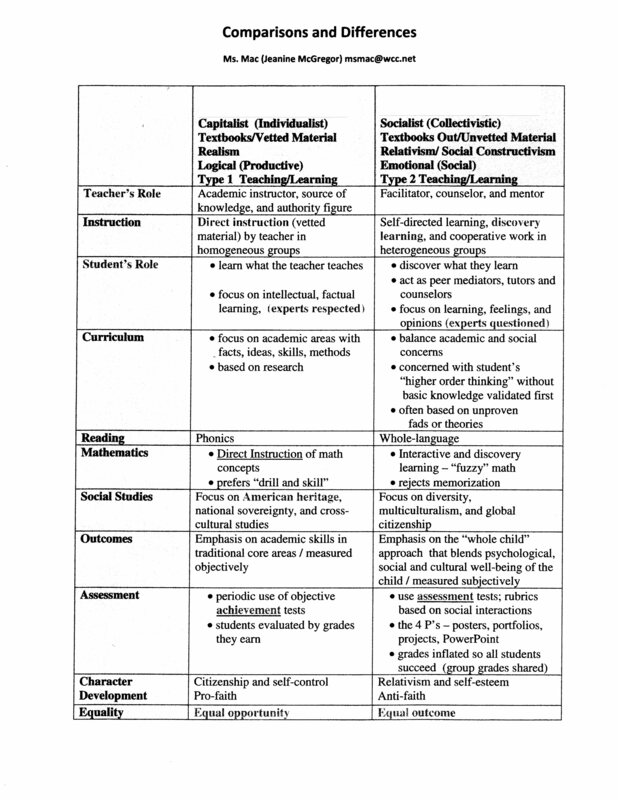 REPRESENTATIVE KLINE, why must private and religious schools provide the following specialized Instructional support on an equitable basis with public school students? when in fact Common Core has been expanded into the mental health personal trait standards defined as social, emotional, and behavioral weaknesses now coded as a disability? The State Education Agency names an ombudsman, “an official appointed to investigate individuals’ complaints against maladministration, especially that of public authorities,” for the following equitable services in each private and religious school: monitoring and enforcement requirements of private and religious schools, including reeducation in the affective domain. Obviously, under HR 5 the SEA will operate independently with no accountability to the state legislature which has surrendered its authority and responsibility over education and the students. Referring to the concept of Title I funds that will “follow the child” and the super voucher called “direct student services”: the Title I fund that “follows the child” is going directly to every child, bypassing state government. No one at the public hearings explained that CHOICE, TITLE I FUNDS “FOLLOWING THE ‘at-risk’ CHILD” would be used to destroy the financial base of public schools which have elected school boards and are funded by local tax dollars. HR 5 is purposely designed to destroy the traditional public school system. Furthermore, REPRESENTATIVE KLINE, there are scores of pages in your ESEA legislation that would expand CHARTER SCHOOLS OPERATING WITHOUT BOARDS ELECTED BY THE TAXPAYERS AS THEIR REPRESENTATIVES. THIS IS A SET UP FOR CHARTER SCHOOL TAKEOVER OF ALL EDUCATION with charter school authorizers to control private and religious schools. Yet, no one explained HOW these Title I funds “following” a CHOICE, TITLE I “at risk” CHILD will impact the intrusion into private and religious schools, which will be forced into all of the mandates that come with Common Core implementation and EVERY CHILD identified and funded through Title I and thereby subverting the mission of the private and religious school. REPRESENTATIVE KLINE, you have crafted HR 5 behind closed doors and put it on the fast track to correspond to the “spitball” known as the ESEA Reauthorization. REPRESENTATIVE KLINE, your HR 5 merged with the Senate version of ESEA REAUTHORIZATION will NATIONALIZE EDUCATION BYPASSING LOCAL CONTROL AND STATE CONTROL, ELIMINATING LOCAL REPRESENTATIVE GOVERNMENT, THE HALLMARK OF A FREE SOCIETY. REPRESENTATIVE KLINE, your “super vouchers” cannot buy our children. No government can deny parents their God-given rights over their children. (Pierce vs Sisters, 1925) Are you really requiring parents to waive their rights? Similar to the waivers HR 5 requires of the states? If so, we demand that you immediately produce the waiver by which parents would sign their children over to the federal government! Explain that one to God…and your own grandchildren. REPRESENTATIVE KLINE, if you care about a free America, you must stop HR 5. Movements on the ground show the “Fundamental Transformation” of education is having impact. 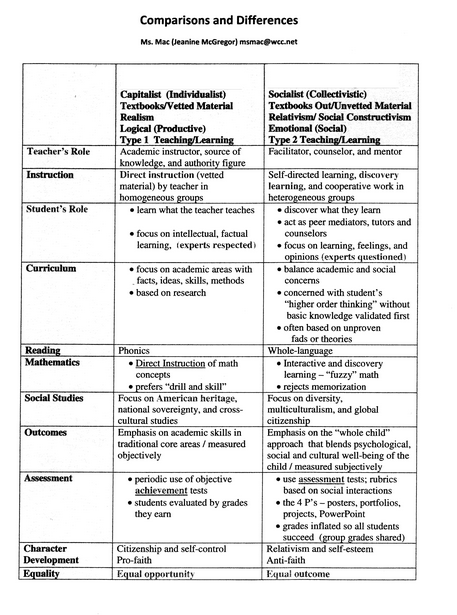 This is what happens when you move from a classical academic curriculum based on an education of opportunity – Reading, Writing, Math and History to a collectivist based education of equity – Attitudes, Values and Beliefs. When you gut our public education of academics and it becomes completely about attitudes, values, and beliefs the question becomes- Whose values, attitudes and beliefs will prevail? Listen below to the Women On the Wall Communication Team conference call with Frank Gaffney, Center for Security Policy. It is a must to listen to this podcast in preparation for the protests of the “Stand With The Prophet Rally” at Garland ISD, Garland, Texas, this Saturday, 1.17.15. Gaffney shared the very startling information about four of the speakers who have close ties with the Muslim Brotherhood and other very dangerous Islamist organizations. After listening to Frank Gaffney’s explanations about the backgrounds of the four speakers scheduled to speak at the “Stand with the Prophet Rally,” concerned citizens are encouraged to call the Garland ISD administration office (http://www.garlandisd.net/contact/administrative.asp) and ask to speak to Chris Moore, Executive Director, Division of Communications and Public Relations – 972-487-3256 or to some other GISD administrator. WomenOnTheWall’s message to America: Events like the murders in Paris are AVOIDABLE – if we will but act and hold our elected officials accountable! Their primary duty is to secure our borders and keep us safe. Washington, D.C.: Nine members of an informal public policy “Tiger Team” presented the “Secure Freedom Strategy” – a comprehensive plan for countering and defeating an enemy that has yet to be officially and accurately named, let alone successfully dispatched, in over 36 years of war: the Global Jihad Movement and the ideology that animates it, the supremacist Islamic doctrine of shariah. The Tiger Team and the Strategy it developed with the sponsorship and support of the Center for Security Policy drew for a model on the approach successfully practiced by President Ronald Reagan for the purpose of thwarting the last totalitarian ideology that sought the West’s destruction: Soviet communism. The Reagan strategy was formalized in National Security Decision Directive (NSDD) 75, which was signed by the President 32 years ago tomorrow. The imperative of American leadership, both domestically and of the Free World, in mobilizing the people and assets doomed to more death, destruction and enslavement if the Global Jihad Movement does not meet the same terminal fate as previous totalitarian ideologies, notably Naziism, fascism and Soviet communism – Admiral James A. “Ace” Lyons, U.S. Navy (Ret. ), former Commander-in-Chief, U.S. Pacific Fleet. An unexpected highpoint of the program was an appearance at its end by one of the nation’s most revered military leaders: General Alfred M. Gray, Jr., U.S. Marine Corps (Ret. ), the 29th Commandant of Marines. Gen. Gray applauded the Secure Freedom Strategy, commended its authors and urged its swift adoption by national policy-makers. Other members of the Secure Freedom Strategy Tiger Team are: Lieutenant General William G. “Jerry” Boykin (U.S. Army, Ret. ), former senior Special Operator and Deputy Under Secretary of Defense for Intelligence; Ambassador Henry F. Cooper, former Director of the Strategic Defense Initiative Organization and former Chief Negotiator at the Geneva Defense and Space Talks, expert on military technology and weapons proliferation; Dan Goure, Vice President, Lexington Institute and former director of the Office of Strategic Competitiveness in the Office of the Secretary of Defense; John Guandolo, combat Force Reconnaissance Marine, former Commander, FBI SWAT Team, former counter-terrorism special agent and expert on the Muslim Brotherhood’s civilization jihad in America; Brian Kennedy, President of the Claremont Institute; Joseph E. Schmitz, Esq., former Inspector General, Department of Defense, and naval officer; and Tom Trento, Director of the United West, an expert in international terrorism research and information operations.